UPDATE: KEF offers 20% trade-in deal on KHT, Q and T series speakers | What Hi-Fi? 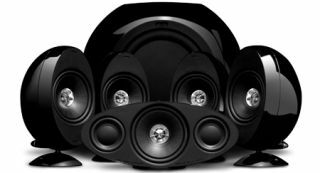 KEF has added its Award-winning KHT2005.3 and KHT3005SE surround speaker packages to its 50th anniversary trade-in offer. Anyone wanting to trade-in their old speakers – any age or brand – at participating KEF dealers will be eligible for a 20% discount on the two KHT systems, as well as KEF's Q and T Series (see story below). To find you nearest KEF dealer, click here. KEF is offering a 20% discount on its Q and T series speakers to any customer who trades in an old pair of speakers between June 1st and October 1st. It's part of the company's 50th anniversary celebrations, due to take place in October. KEF says it will accept any age or brand of speaker as part of the trade-in deal. Find your nearest participating KEF dealer here.